=> 1's are industry lingo for on-time payment. I plan on making money off of you in two-four years when you graduate. I speak at groups like Delta Sigma Pi and Alpha Kappa Psi. 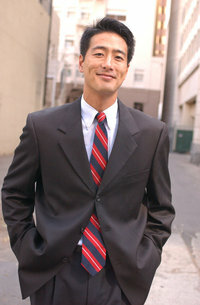 It's me, Larry Chiang, CEO of Duck9 and best-selling author of "What They Don't Teach You at Stanford Business School". My goal is to share ideas and insights, but I won't charge you. Even my SOLD OUT bestseller on Amazon has free excerpts on all fourteen chapters in at a website called, BusinessWeek. Yes, I write there. I finally cracked the code on what it means to have good credit. And now I want to teach YOU how so you can learn great techniques and get on with your collegiate life. Maybe you've heard my story. I started off young and naive as an undergrad with zero traditional business training. The "Ultimate Credit Handbook" by Gerri Detweiler and it got me on the right path as a freshman... Now I speak at the biggest confernces, go to and host the best parties, and pressure credit industry leaders tell me their deepest secrets. I wrote about this in Chapter 4 of my book. BOOK TIP: a life-changing book I read in high school: "What They Don't Teach You at Harvard Business School" by IMG Founder, Mark McCormack. It taught me how to get mentored by the best and brightest minds. I used it to network with and man-charm credit experts and learn from the best FICO score-building minds in the business. I am going to share with you something mind blowing. You can get critical credit-building knowledge without ever going to business school and without ever going into debt to do it. All you have to do is text me. Subscribe now by texting me @650-283-8008 your full name. While you are pulling out your cell..., see what I said on Fox News in Houston. There are FOUR components to building your FICO score (if you are still reading and not texting -- effen text me NOW 6-5-0---2-8-3----8-0-0-8). (4) confirming that the information went into the FICO grid. Larry Chiang maneuvers through credit like a downhill slalom skier. He is THE credit score vigilante. Tagging along for the ride is both exhilarating and terrifying all at the same time. He has testified before Congress and the World Bank. Trust him as your credit guide because he knows 2 stages ahead what moguls to dodge, trees to avoid and cliffs to steer clear. The FICO credit grid is all the micro, little pieces of information that Fair Isaac collects from the three bureaus: Trans Union, Equifax and Experian. - Qualifying for a credit card that pays you airline tix.
" Making sure college credit card virgins get deflowered right"
p.s. Make sure to message my secret email address, chiang 9 (at) @duck9 dot com if you have any questions or just text my cell phone, 650-283-8008.